BREAKING: Unknown Force Is Spiking The Earth's Schumann Resonance to 36+ In The Past 2 Days! BREAKING: Unknown Force Is Spiking The Earth’s Schumann Resonance to 36+ In The Past 2 Days! Many years ago I was trained in EEG Neurofeedback, so I looked at what these accelerated frequencies might be telling us about human evolutionary change. A 7.83 Hz frequency is an alpha/theta state. Relaxed, yet dreamy—sort of a neutral idling state waiting for something to happen. 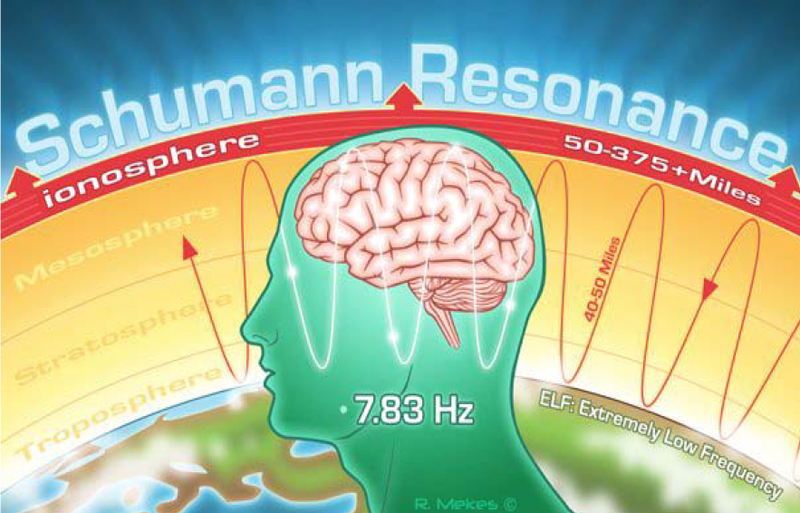 A 8.5 – 16.5 Hz frequency moves one out of the theta range into more of a full calmer alpha state with faster more alert beta frequencies starting to appear. (This correlates with slowly waking up cognitively). I was told by a wise old sage from India that the magnetic field of Earth was put in place by the Ancient Ones to block our primordial memories of our true heritage. This was so that souls could learn from the experience of free-will unhampered by memories of the past. He claimed that the magnetic field changes are now loosening those memory blocks and we are raising our consciousness to greater truth. The veil is lifting. The blinders are coming off. If true, it raises even more intriguing questions. 2/2/17 update: we are now in our 3rd straight day of 30+ resonance, and it seems like it is getting more constant / stronger!